Deus Ex: Mankind Divided is a cyberpunk first-person role-playing game that focuses largely on stealth rather than firefights, though players can still opt for the latter if they so choose. This is the signature characteristic of the Deus Ex franchise as players are given the freedom and the choices will have an impact not just on the narrative but how the game flows. This the sequel to the critically acclaimed Deus Ex: Human Revolution. 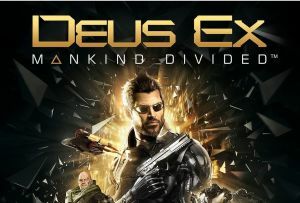 This is actually the prequel to the first and second Deus Ex game as gamers take the role of Adam Jensen now equipped with new technology and augmentations. No discussions open for Deus Ex: Mankind Divided at the moment.